One thing we know for certain about Justin Lin: he loves car movies. 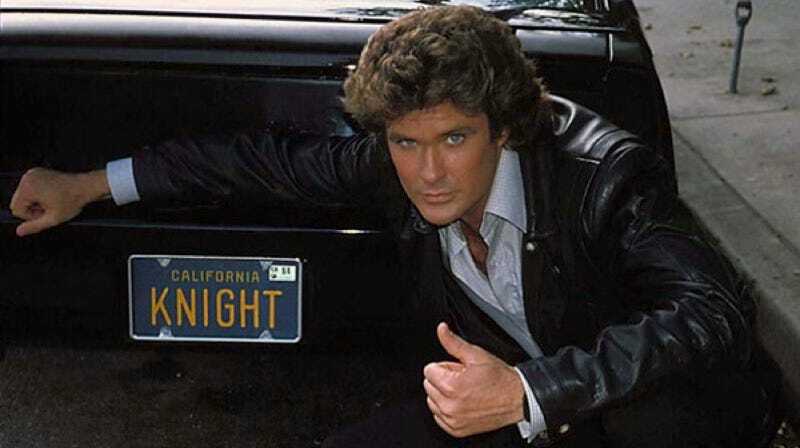 I mean he directed four entries in the Fast and Furious series, and was recently tapped for the toy-inspired Hot Wheelsfilm, so his association with the latest Knight Rider reboot makes perfect sense. But you won’t be seeing it on the big screen, or even on TV. Instead, the new take on the tale of a crime-fighter and his sassy AI-powered sports car will be a digital series produced in part by Lin and his YOMYOMF digital media company, NBCUniversal, and “cultivator of fandom and gamer culture” Machinima. The original version of the show—created by the prolific Glen A. Larson, whose other credits include The Fall Guy, Magnum P.I., and Battlestar Galactica—ran from 1982-1986, and has since spawned several spin-offs and updates. There’s no word on what specific changes this new Knight Rider will make to the material, though presumably the car (and the distinctive theme music) will be kept 100 percent intact. If nothing else, it’s almost certainly going to be better than the 2008 TV reboot. I mean, it would be extremely difficult to be worse.